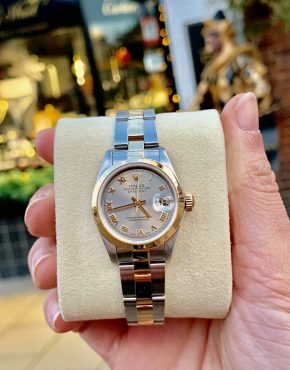 The Date-just Lady Rolex is a symbol of pure elegance. 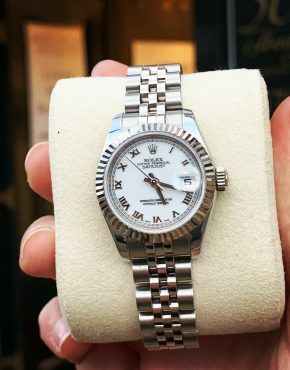 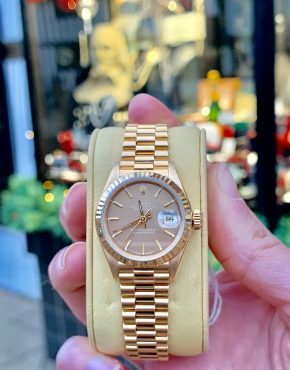 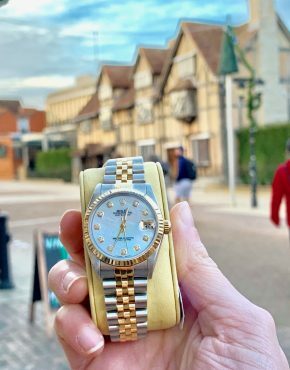 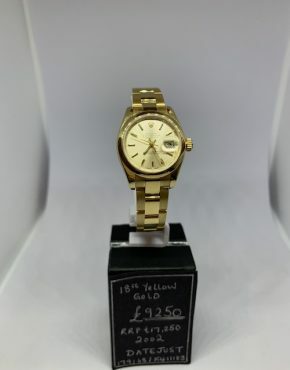 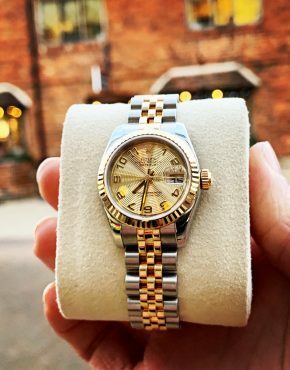 Watches of Henley St are proud to present our range of pre-owned, used and unworn date-just watches available for next day delivery or viewing by appointment. 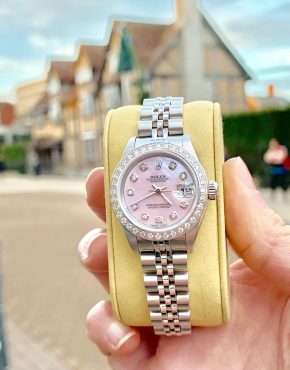 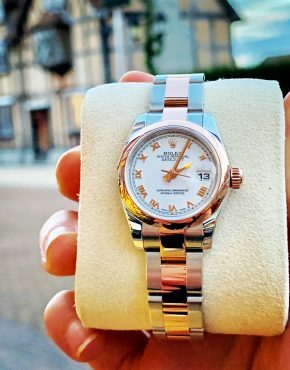 All our ladies Date-just watches come with two year warranty and free sizing service to ensure your peace of mind.